A tourist visiting New Orleans from Bermuda via a seven-day cruise recently found herself in the hospital following a hit and run incident in that city. A WWLTV story said “A tourist in town to head on a cruise instead got a trip to the hospital when someone hit her with a truck in the Warehouse District and kept driving. “It happened just before 2:30 a.m. Saturday. “Zina Jacobs said she was crossing the street at the corner of Magazine and Julia streets. 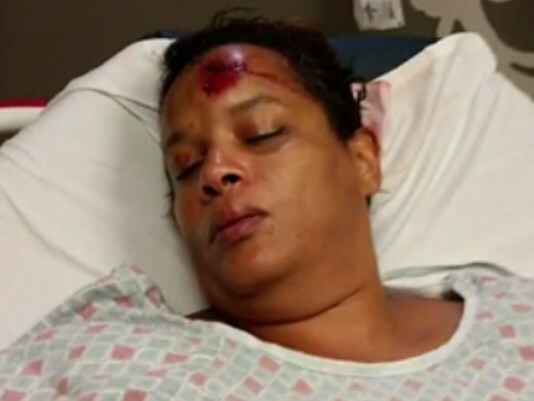 Just as she got half way, a white pick-up truck made a left turn and hit her knocking her to the ground and continued to drive away. “It’s just surreal to me right now that somebody would hit you and just keep on going,” said Jacobs. “I could hear my husband and my friends screaming and I was just trying to stay still and just keep them calm,” she recalled. That’s terrible! I hope you have a full and speedy recovery… and somehow find the person responsible! Wishing you well from back home. Speedy recovery.